Dr. Ruggeroli was born in Henderson, Nevada in 1962. He has been a resident of Las Vegas since 1975. He attended Bishop Gorman High School and Western High School here in Las Vegas. After high school he attended Dixie Junior College in Utah for 2 years before transferring to Utah State to play football. He graduated from Utah State with a BS degree in Sociology. 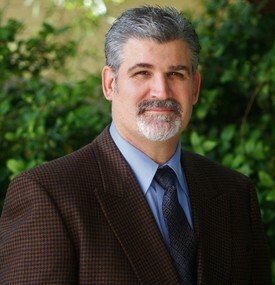 Dr. Ruggeroli then attended the University of Nevada Reno for a year and a half before being accepted into the University of Pacific in San Francisco, CA for dental school where he graduated in 1990. Dr. Ruggeroli has been practicing in Las Vegas for 27 years and has established a well known practice through out the valley over the years. He specializes in cosmetic dentistry and full mouth reconstruction which includes implants, veneers, lumineers, crowns, bridges, and restorations. He also has been certified in treating sleep apnea. He also enjoys treating patients who experience migraine events with various night time appliances.